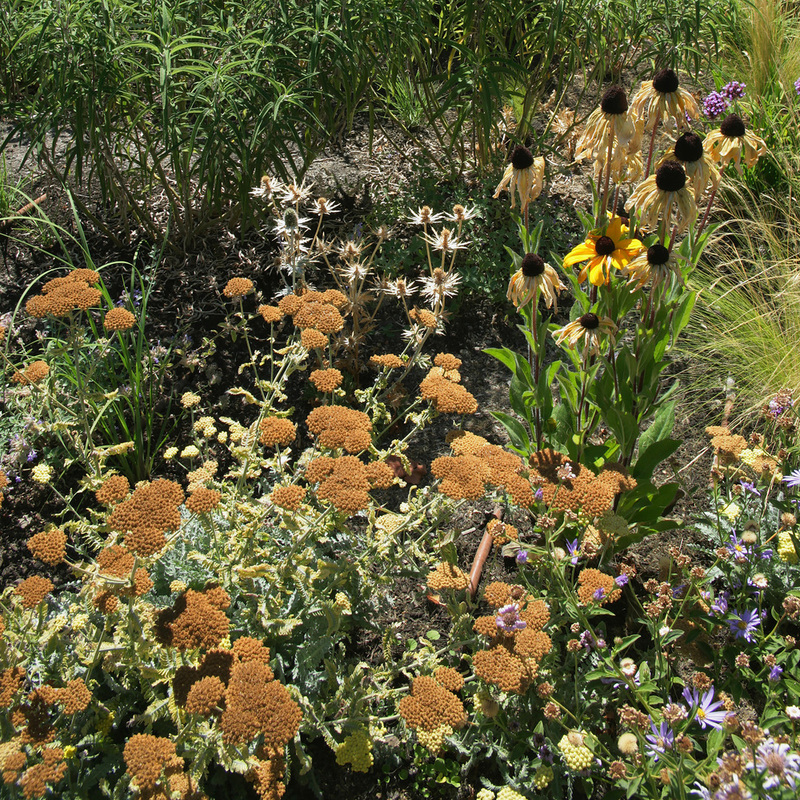 Therapeutic gardens offer exposure to nature as a part of the healing process. They help reduce stress, lower blood pressure and reconnect residents or patients, their families and caregivers to nature. 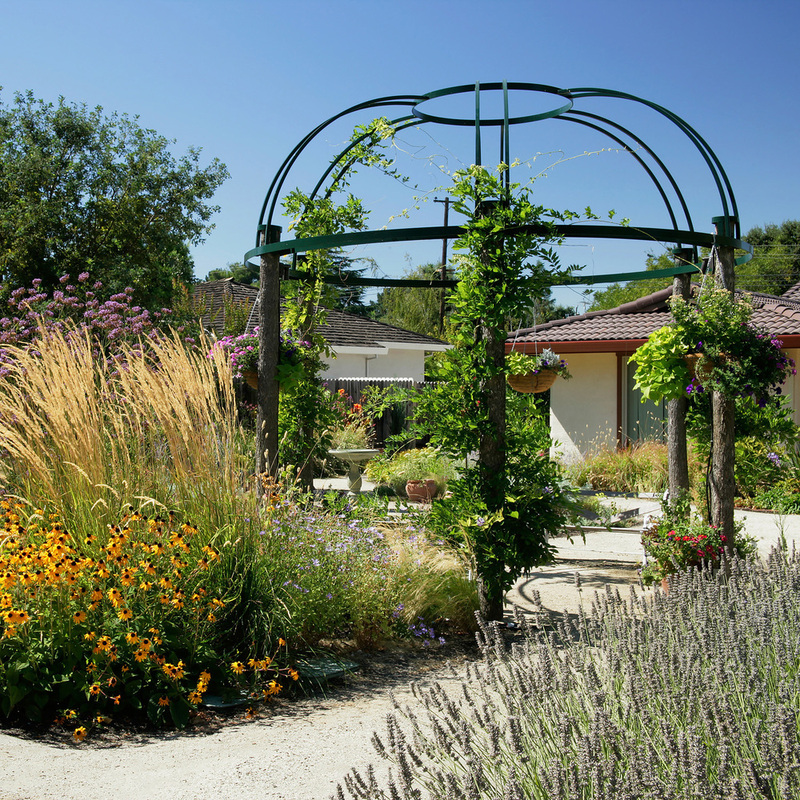 Such gardens are designed specifically with users in mind, which is why you will find healing gardens at hospitals, restorative gardens at psychiatric facilities, enabling gardens to assist those with disabilities, and meditation gardens in faith-based settings. This particular therapeutic garden is a healing garden at a respite facility for family members with intellectual or developmental disabilities. The wide, flat paths and raised vegetable beds are wheelchair accessible. 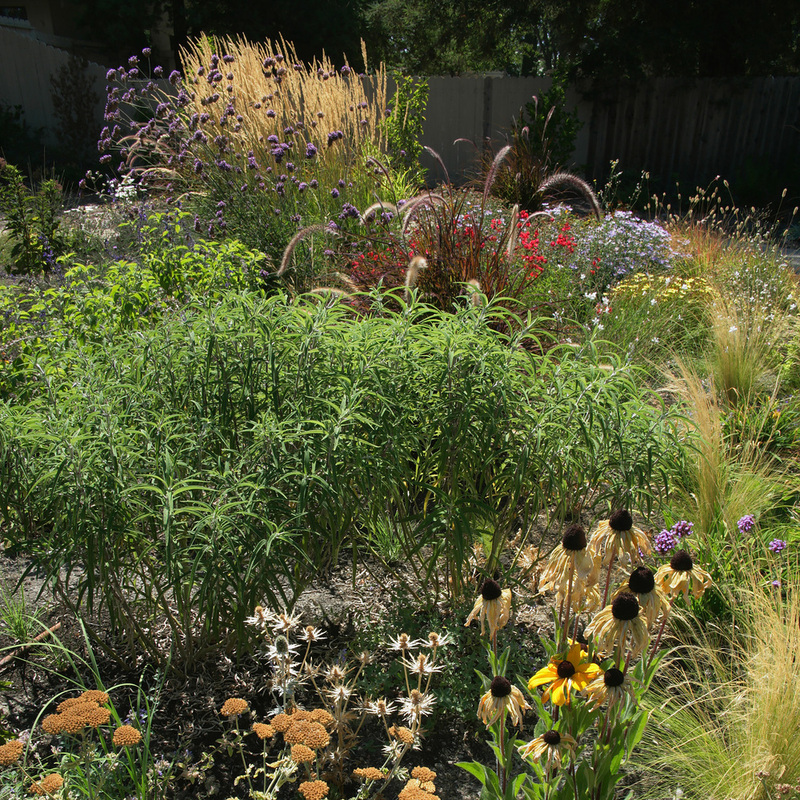 Plantings were designed to attract birds and butterflies, while a trickling fountain adds a soothing sound and is a favorite of splashing birds. There are benches along the way to rest, soak in the sun's rays and relax. And there is a wisteria-draped shade gazebo where friends may gather and programs for small groups are often held. Residents spend time with visiting family members in the garden, as well as with caretakers and other residents.